Place racks in the center and upper third of the oven and preheat to 350 degrees F. Line 2 baking sheets with parchment paper and set aside. 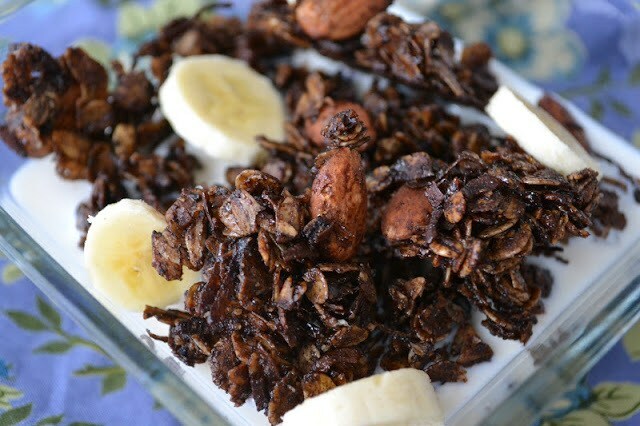 Bake granola for 30 minutes, removing from the oven to toss and stir 2 to 3 times during baking. Granola is done when it is toasted around the edges and fragrant.